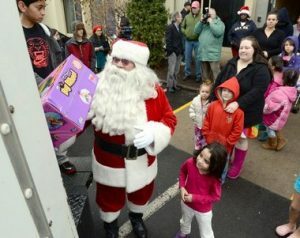 Each and every Christmas morning, the Holyoke, MA police department delivers toys with Santa Claus to needy children. The children are awoken by sirens and Santa, bringing a little bit of joy to end their year. 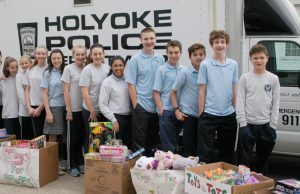 The tradition began more than 30 years ago, with the department making deliveries to low-income areas as a public outreach program. The officers say it helps with public relations and reassures the community that as always, they are there to protect and to serve. For the man in the big red suit, the program holds a special meaning. 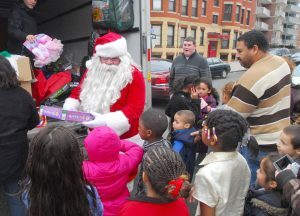 30 years ago, retired narcotics detective Dennis Egan’s partner was killed in the very area they deliver the toys to.